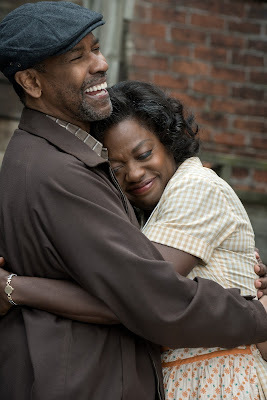 On the surface, FENCES presents a black couple living the American Dream in the 1950s. They own a home. They're the proud parents of a son in high school (who's even being courted by football scouts). She is a beloved member of the church, who can whip up a batch of biscuits and fried chicken like nobody's business. He is a sanitation worker who was recently promoted to truck driver. They should be happy. But at the core of this story, by renowned playwright August Wilson, is an overwhelming amount of frustration marked by broken dreams, resentment, and suppressed sadness. The Civil Rights Movement had just begun, schools had recently been integrated after the landmark Brown v. Board of Education case, and Dwight D. Eisenhower was the president. Change was slowly but surely brewing around this couple. But as opportunity began to present itself, our couple (Troy and Rose played by Denzel Washington and Viola Davis) were left behind. The younger generation was coming up in a new day in which their dreams were actual possibilities and they had hope in their eyes. Meanwhile, Troy found himself middle aged (53), illiterate, and stuck. He resents not being part of the progression, but he also romanticizes the struggle; quick to reminisce over just getting out of prison and meeting the love of his life, Rose, embellishing facts with hyperbolic details of love and devastation. He comes alive when he tells these tales, mostly in front of Bono (Stephen Henderson), his friend, confidante, colleague, and captive audience. But all that sentiment is eclipsed once their son, Cory (Joban Adepo in breakthrough performance), enters the scene, hopped up on football prospects and the optimism of youth. When he blows into the house with all his energy and stardust, it reminds Troy of his unfulfilled dream of playing Major League Baseball, before Jackie Robinson broke the color line in 1947. Cory reminds Troy of what he once was and can never be again. In fact, both Cory and Troy's other son from a previous relationship, Lyons (Russell Hornsby), a musician in his own right, represent the idealism Troy can no longer entertain. Then there's Rose, a middle-aged woman who's succumbed to living vicariously through her son and larger-than-life husband. She too is unfulfilled, despite her dreams not outright identified in the film. But the fact that we soon encounter her dissatisfaction voiced in an era that cared little about women, particularly black women, outside their support of men is extremely fascinating to witness, not to mention defiant. Davis is a force of nature here, peeling back the layers of a life suffocated by the men around her whose dreams clearly mattered. She's caught between love and despair, admiration and indignation. 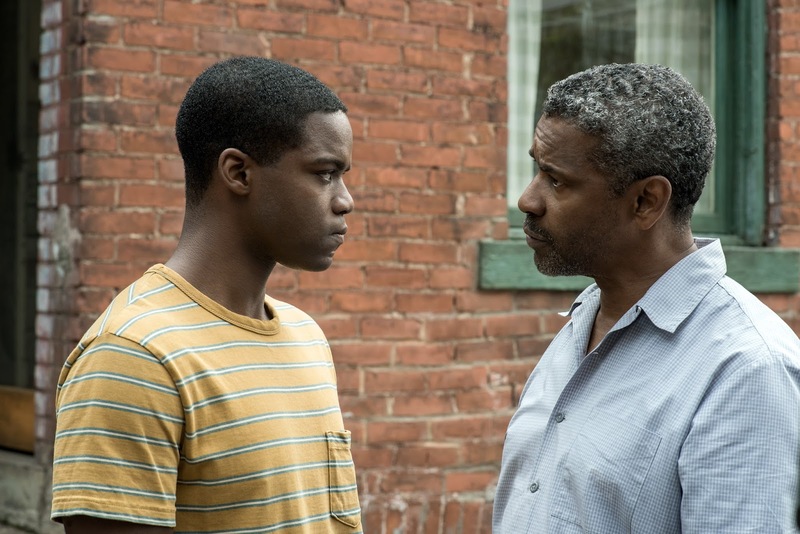 FENCES comes at a time when many consider the myth of a post-racial America without discussing the scars of white supremacy, how it cripples and imprisons. Washington's masterful performance is the embodiment of that circumstance, weighed down by anger and loss. He's left to repeat the same sins of his father, inflicting them on each of his children. Pulling double duty as both star and director of a crackling drama, Washington's appearance is effectively ragged in this role. At one point in the film he's wearing a white t-shirt similar to the one he dons in Ricochet 25 years ago, but with extra pounds and grey hairs poking out beneath it you feel every lost decade of Troy's life. Recreating the claustrophobia of Wilson's play, which debuted on Broadway in 1987, FENCES immediately captivates from its opening credits. 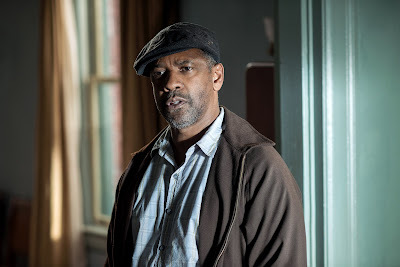 The performances by each of its six main characters (including Troy's brother, played by the eternally underrated Mykelti Williamson), combined with Washington's gripping direction (inciting a mix of terror, madness, and pity), FENCES is simply extraordinary. It is not to be missed. Amazing review! My theater opened this today, and I'm definitely going to try to see it ASAP.